NOTE: This workshop also takes place on Thursday, November 8, 2018, 5:30-7:00pm in Rohnert Park. In this intermediate* class, Shana Bull will be taking attendees through her 5 Steps on how to get ready for social media promotions during the holiday season and beyond. By planning ahead, batch-working, keeping things simple, automating and remembering to have fun – attendees can share their brands through social media, without spending hours online. *Intended for those who have already have some experience in social media marketing and/or an established social media presence (such as on Facebook, Instagram) for their creative work, services, or organization. 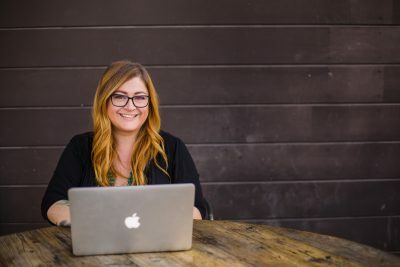 Shana Bull is a Marketing Educator and Digital Storyteller, working with wine, food, hospitality, & technology brands, marketing agencies and local businesses in the San Francisco Bay Area. In addition to teaching classes and creating strategies for businesses, she is also a freelance writer, writing stories on music, travel, food, wine, social media and mom life for several publications like Sonoma Magazine, North Bay Business Journal, SonomaCounty.com, and Wine Country Mom Blog. When Shana isn’t working, she enjoys rosé wine, craft beer and going on food adventures with her husband and redhead toddler (and of course chronicling her travels on Instagram at @sharayray). Learn more at ShanaBull.com.